I still remember music charts being something that I spend time following back when I was younger. I had always wanted a site/app/something that shows me what’s the latest and popular songs were, and better yet allow me to do audio preview and watch a music video of the song if possible. At the meantime, I always wanted to create something presentable that people will find useful. And thus arming myself with the skills + messing with code and design + a few sleepless but fruitful nights, hotmusiccharts.com was born. Here’s a peek at the user interface. I wanted to keep it as clean and simple as I possibly could. The site is simple but does what I want it to do perfectly. 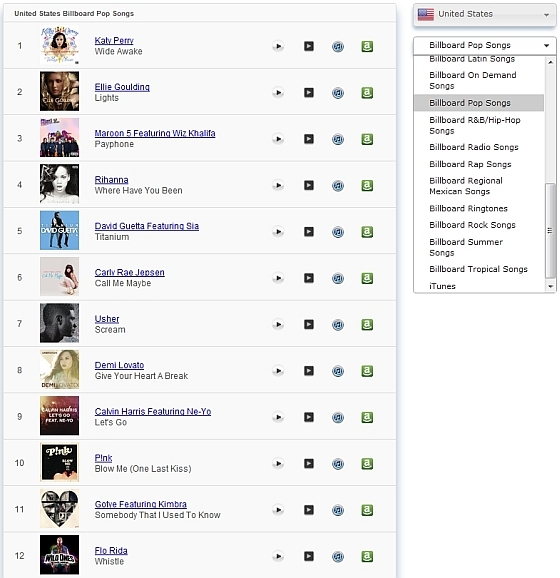 Feel free to visit hotmusiccharts.com and if you have something to say, please do so and write a comment below. There are a few other features that I will be adding in hopefully soon such as adding in more charts and doing mobile apps. Watch this space as more new features are added and announced. One question. Is it possible for You to Add Serbia to Country selection?